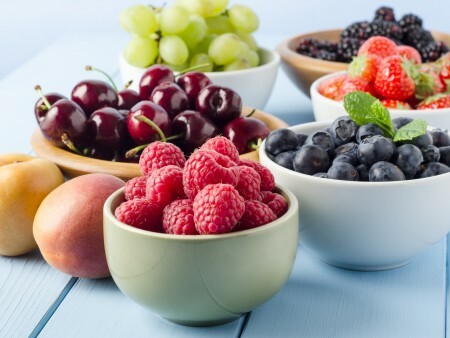 Fruits lower in carbohydrate and higher in fiber will likely have less of an effect on your blood sugar. Below is the calorie, carbohydrate and fiber content for specific portion sizes of some common fruits. Find information about other fruits in the National Nutrition Database, available under “What’s In Food” at nutrition.gov.